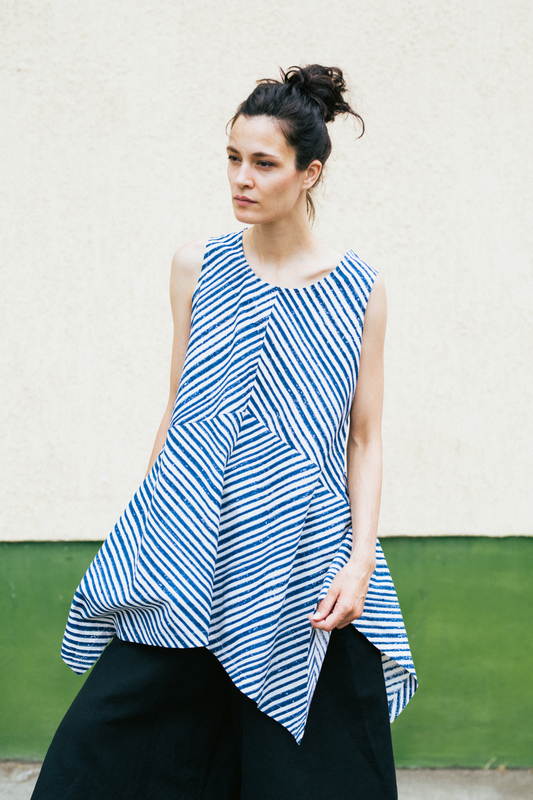 The kin ‘Lark Top’ high-lights a diagonal stripe block print in organic cotton poplin. It features a peaked, bias cut peplum which floats around the body. – Made from a crisp 100% cotton poplin fabric. Colourways: Natural + indigo stripe block-print.